The fight for safety took a major step forward yesterday. We were honored to join national safety advocate and attorney Todd Tracy, the Auto Body Association of Texas, and leading auto body shop owners from around the state for a wide-ranging conversation on how the insurance industry illegally steers consumers to insurance-friendly "repair" facilities, underestimates damage, refuses to pay for important safety scans and other necessary procedures, and suppresses labor rates all in the name of padding their bottom line. The consumer has a right to a car that has been repaired properly and is safe for them and those around them on the road. But the end result of these insurance industry pressure-tactics is a steady stream of vehicles that are ticking time bombs and even rolling coffins. With the shoddy repairs buried under metal and paint, you and your family may not know that the job wasn't done right until you are in a wreck and it is too late. We saw tragic evidence of this recently. The Seebachan couple was trapped in their car, suffering crushing injuries and major burns, when their Honda Fit catastrophically failed in a crash. Before it was sold to them, John Eagle Collision Center had essentially glued the roof onto the vehicle while repairing it instead of welding it according to manufacturer specifications. When the case recently went to trial, the jury found for the Seebachans and sent a strong message that safety should not be sacrificed. Todd Tracy represented the couple in court. He stated, "A Dallas County jury has spoken in its $42 million damage verdict for defective auto body repair. The message is clear to auto insurance carriers in Texas. Get out of the repair business and quit bullying body shops into using unsafe repairs that don't meet manufacturer standards. 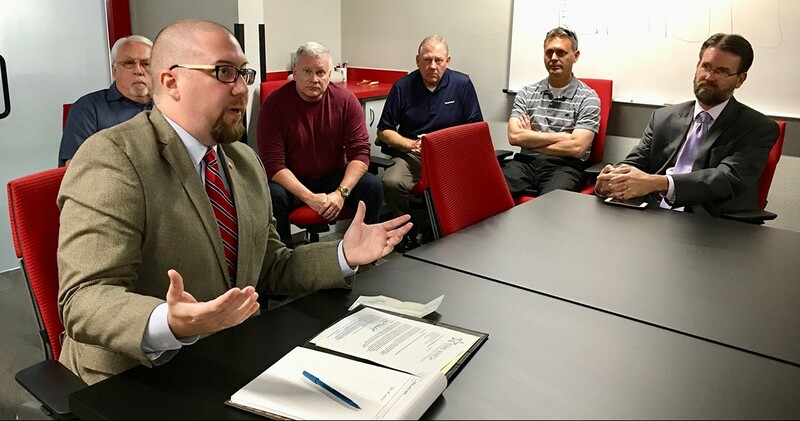 I believe that collision repair businesses that choose to do it right by following the Original Equipment Manufacturer standards should receive immunity." The Seebachan case is an example of how our civil justice system, entrusted to us by the Founders and enshrined in the Seventh Amendment of the Constitution, is supposed to work. Citizen jurors examine the evidence and guard the community by enforcing the rules and holding bad actors accountable. Accountability makes all of us safer. Burl Richards, President of the Auto Body Association of Texas (ABAT), stated, "At ABAT, we are committed to safe and proper repairs. We appreciate that Texas Watch has provided a voice to get this safety information to the public." Professional auto body shops that care about their customers and the public should not be subjected to pressure by the insurance industry to "cheap out" repairs. The job must be done right the first time so we are all protected. ABAT and professional auto body shops should be commended for leading the way. We, and these groups and individuals, are committed to fighting for as long as it takes to see that insurance companies aren't able to dictate dangerous repairs any longer. Money is on the line for the insurance industry, but lives hang in the balance for all of the rest of us. The stakes couldn't be higher, and we expect the insurance industry will fight us tooth and nail. However, we are all committed to the fight. Watch this space for more to come in the weeks and months ahead.